Craftsman/Foursquare. 2-story, 2-bay hip-roofed stuccoed frame with a hip-roofed dormer on the front. 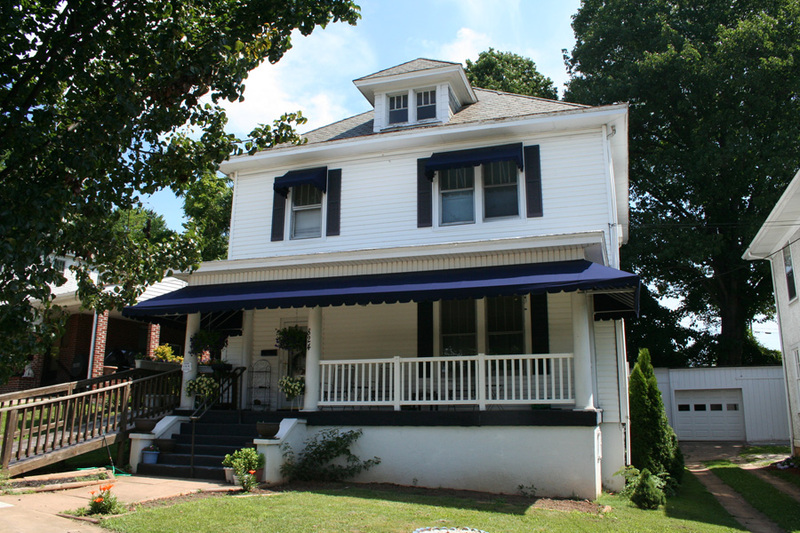 1-story has Tuscan columns and vinyl baluster. 1-bay-long, 2-story wing is on the rear. Also, there is a 1-story frame plywood-sided garage.